Although not professionally done, these short videos help to explain a few of the "Heroes Methods" of dealing with bullying. Teaching students to watch out for each other, and come to the aid of others who need help, will create a positive power within each individual involved. Students know (and watch) other students better than teachers do, so why not teach students how to become heroes in the crowd and come to the aid of their peers in need of help. To be able to come to the aid of another in need is an innate desire of every human being - don't we all want to be heroes? But as we grow older, the social interactions within family, schools, workplace, and society, degrade that desire to help others. Complacency and the belief that someone else will help one another in need, takes over. The "Heroes Method" can change the complacency path for all those who learn it. Group Heroes take the student/victim out of the bullying situation. Teachers come to talk to the bully. 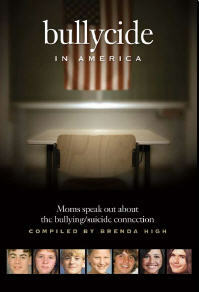 What happens when there are no heroes to help a child who is being bullied or about to be bullied? Below are some examples of what to do when a bully approaches their victim. This will only work well if an adult intervenes by talking to the bully about his/her behavior. vocalize loudly with their hands in back, while stepping back. Teachers must come to the aid of the student/victim by talking to the bully. Document the incident in case of further problems. and then play from the start.